December is not my favorite time of the year for gardening but there are still garden chores to be done. I must admit I am a fair-weather gardener and try to get all my garden chores done by Thanksgiving. 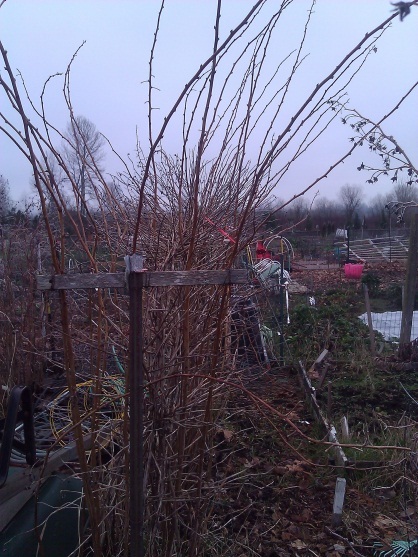 This year, however, I headed to the garden in early December to find my asparagus still green and lively. If any asparagus ferns are yellow or brown, December is the time to trim them back and compost them. 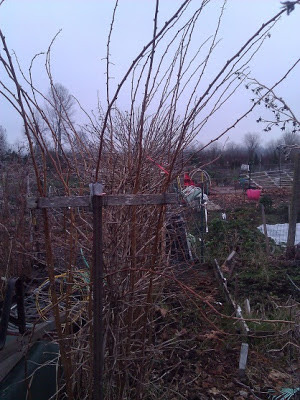 At this time, it is also wise to lightly prune dead branches of cane berries and shrubs like currants, no hard pruning until later in February. Photo courtesy of Jane B. As night temperatures dip, you may extend the growing season for lettuces and other hardy greens if you set up cloches or hoop houses for them. When you're covering plants for the night, ensure your protective coverings touch the ground. 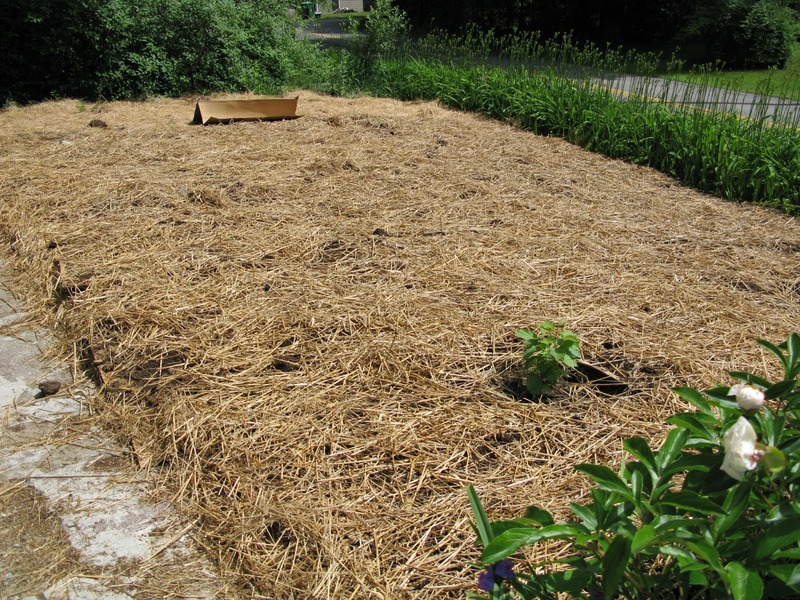 Frost protection covers work by trapping radiant heat in the soil. As soil releases its heat, the cover holds the heat around the plant. Use fabric covers, such as row cover cloth. It's easy and quick to build a shelter around tender plants such as artichokes and other tender perennials. Be sure to anchor stakes in soil and attach a cover to stakes. If you do not plan to extend your season, harvest everything you can before a freeze-thaw cycle turns your produce mushy. 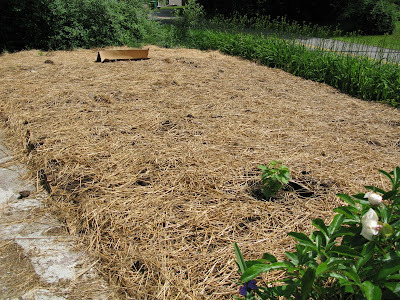 Cover your garden/raised beds with leaf mulch, straw, cardboard, or burlap; this keeps weeds at bay until spring. Once your garden is tidied up, you can spend the rest of winter looking over seed catalogs and planning your spring plantings. One final note, if you are so inclined, feed the birds. Many of our feathered friends would benefit from a supply of food when we’ve cleared our gardens of the things they love to eat.